Rocketmiles is a great way to top up an account if you are short on points for a redemption. 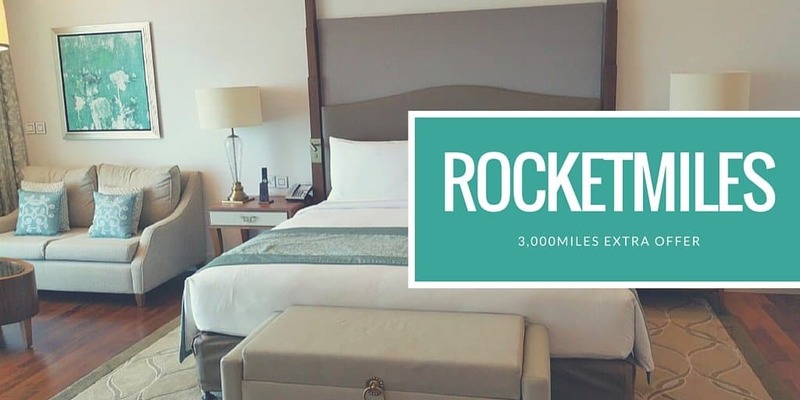 For those of you who do not know what Rocketmiles is, it is a hotel booking website that rewards its customers with miles on various partner airlines. It is a great way especially for Muslims to pick up miles without needing credit cards or other promotions. New customers receive 3,000 miles extra on top of the normal miles you would receive from a booking. Usually their high-end properties will give 2,000 miles but in general, the rest of them will just give you 1,000 per night. Currently, it appears that some properties in London offer up to 9,000 miles for £220 which can be combined with the 3,000 bonus miles. You must book by 1st of July 2016 but you can stay quite far out. I tested a booking for January 2017 and it still gave me the offer. This is a good offer if you are looking to top up an account if you are short of a redemption with British Airways and you need extra points this can work well. London to Jeddah is 10,000 Avios one way off peak and 12,500Avios peak time. So if you use your cards right this can be a great deal for an Umrah trip. Berlin to Abu Dhabi is 12,500 Avios one way and £25 in taxes.